The mad dash for hotels at SDCC came and went in a flash on Tuesday and us poor saps hoping for a good hotel can only sit back and wait. As a distraction before the good or bad news is delivered, I suggest you distract yourself with some quality books. Daredevil celebrated his 50th anniversary and the great Mark Waid paid tribute, has Negan gone soft, and an impressive debut mashes up Wes Anderson and Sci-fi. Enjoy! 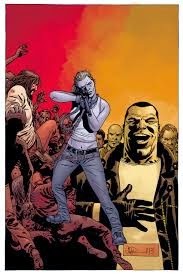 The Walking Dead #125 - I don't think there is anyone better in the business in delivering a stunning closing panel than Robert Kirkman. I'll get to that later. Rick and the Survivors are dealing with the aftermath of the tainted weapons that Negan has used to spread infection in their camp. On top of that, it appears as if Rick isn't truly infected and that Dwight may be the ally they need. My favorite moment was when Carl comforted a friend and encouraged him not to get used to the dire situation they are living in. It is easy to forget the horrors that Carl has faced and he demonstrated his maturity by acknowledging the importance of your past, even if it is painful to revisit. He is my favorite character in the comic by far. What started as a relatively calm issue ended in a shocking fashion. Negan and Rick actually engaged in civil conversation!!! Negan may not be the monster we all think he truly is. I won't spoil anything, but this series seems to be taking a turn and I will be there every step of the way. 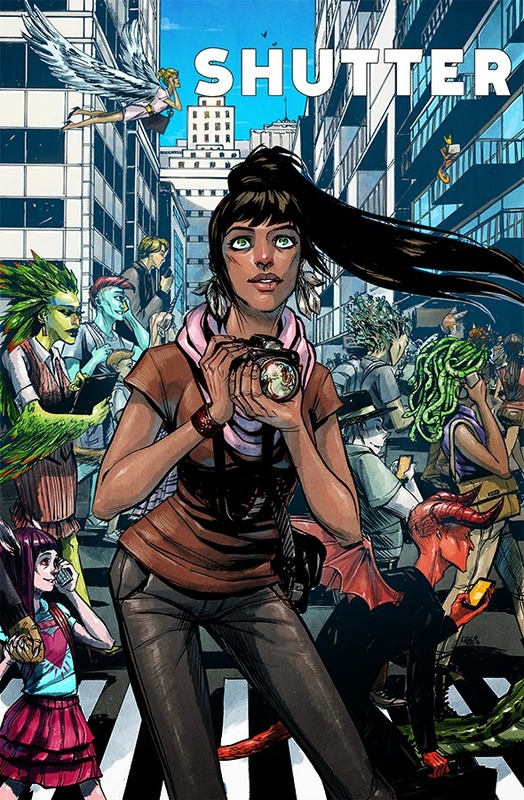 Shutter #1 - After reading this comic I desperately want Wes Anderson to make a Sci-fi movie. Shutter is a stunningly beautiful book that manages to squeeze in a compelling first issue that has me itching for the next issue. Much like a character from a Wes Anderson movie, Kate grew up in a family of explorers, but wasn't sure if the family business was for her. 20 years after her seventh birthday, Kate finds herself in a sticky situation (I don't want to spoil it). We quickly learn that Kate may not be who she thought and she has much to learn about her family. An exciting, fast-paced read, Shutter delivers the fun of an action packed Sci-fi epic, with the artistic beauty of a Wes Anderson film. Me likey. Star Wars #16 - I will admit that I would be perfectly fine with Brian Wood writing the script for Star Wars VII. Wood captures the spirit and attitudes of the characters and effectively plays up the political deception that the Rebel and Alliance engage in. The rebels are on Arrochar, a planet that is facing its own political divide, has an ambitious royalty and a stubborn ranger class that simply want to be left alone. Leia is set to marry the prince to provide a strategic ally for the Rebellion. Something tells me it won't go according to plan. Fans of the original trilogy are doing themselves a disservice if they aren't reading this title. 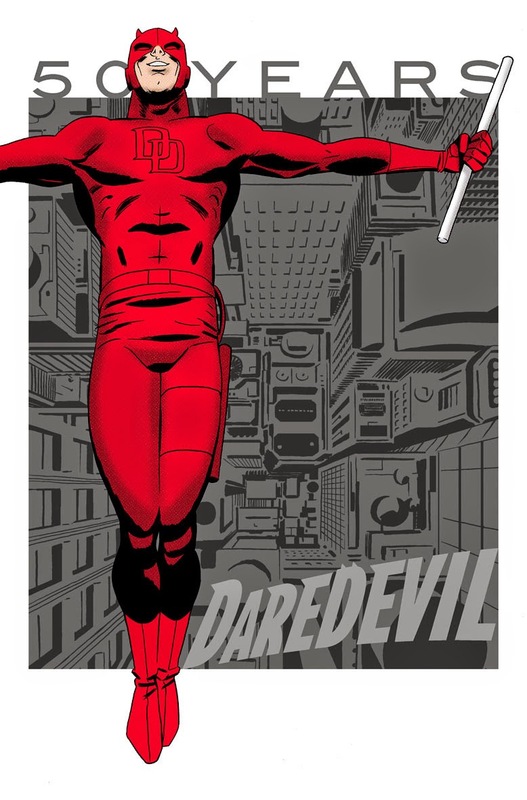 Daredevil #1.50 - Daredevil celebrated his 50th anniversary this week and Mark Waid delivered a fitting and touching issue. For this issue we turn to the future and examine the relationship that Daredevil has with his 9-year old son. It was a sweet issue that spoke to me as a father, but still delivered an interesting premise as 76% of the city, including his son, have suddenly gone blind. Fun, sweet issue. Batman: Eternal #1 - Not sure that we need another Batman title, but the good folks at DC rounded up some A-list talent and I was excited to check it out. Eternal tells the tale of how Batman ended up strapped down, wounded, watching Gotham burn. One of the darker Batman debuts of recent memory, Eternal looks like it should be an enjoyable read. I am always weary when a series is authored by such a large cast, but I enjoy the names DC has assembled and will continue to check it out. This series will feature new issues each week.